Motohashi, R. and Myouga, F. (2015). Chlorophyll Fluorescence Measurements in Arabidopsis Plants Using a Pulse-amplitude-modulated (PAM) Fluorometer. Bio-protocol 5(9): e1464. DOI: 10.21769/BioProtoc.1464. In this protocol, to analyze PSII activity in photosynthesis, we measure the Fv/Fm (Fv=Fm ± Fo) value (Fo and Fm are the minimum and maximum values of chlorophyll fluorescence of dark-adapted leaves, respectively). Fv/Fm is a reliable marker of photo- inhibition (Krause et al., 1988). 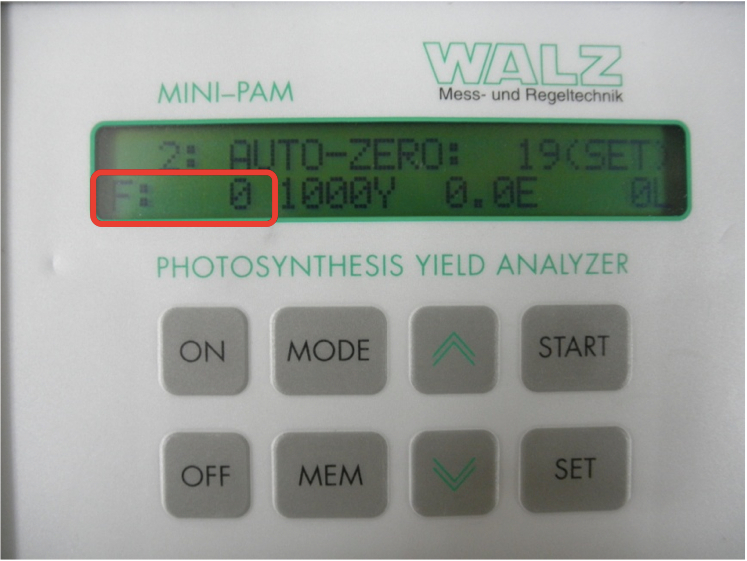 Chlorophyll fluorescence in leaves was measured at room temperature using a photosynthesis yield analyzer (MINI- PAM, Walz, Effeltrich, Germany) and a pulse-amplitude-modulated (PAM) fluorometer (TEACHING-PAM, Walz, Effeltrich, Germany). Note: We plated Nossen ecotype seeds that had been surface-sterilized on germination medium (GM) agar plates (Motohashi et al., 2003) containing 1% sucrose, with the appropriate selection agent (antibiotic or herbicide) per specific genotype. Plants were kept at 4 °C for 3 days to improve germination rates and then grown in lighted growth chambers (CF-405, TOMY-Seiko, Tokyo, Japan) with approximately 75 μmol photon/m2/s at 22 °C under a 16 h-light /8-h dark cycle (long-day conditions) for 3 weeks. Compact design and easy operation are the most outstanding features of the MINI-PAM. 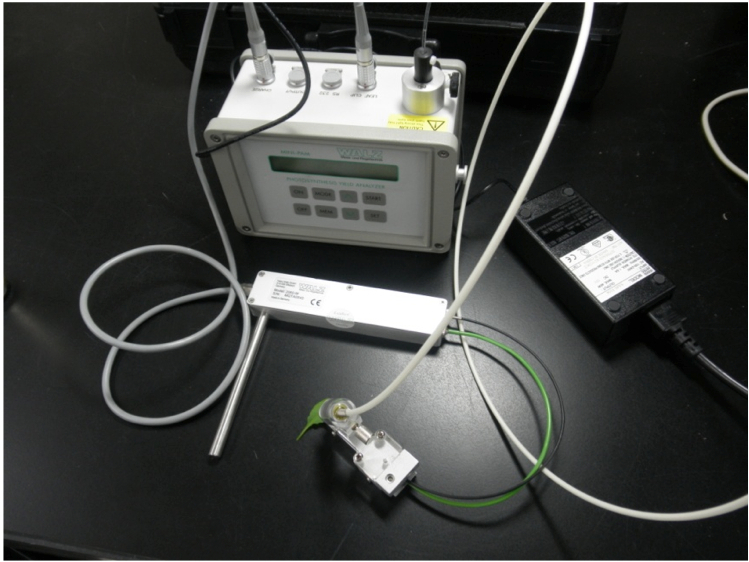 This device is in particular well-suited for determination of quantum yield and photosynthetic electron transport rate (ETR). A flexible 5.5 mm glass fiberoptic was attached in the system and it can provide considerable high actinic intensities of white light. An optional 2 mm plastic fiberoptic (MINI-PAM/F1) is also used by excellent signal quality and can be attached to the cover of an optional gas-exchange system for measuring both CO2 and H2O exchange as well as fluorescence. For an exact measuring quantum flux density and temperature at precisely the fluorescence measuring spot, a useful leaf-clip holder is available as an accessory (Arabidopsis Leaf-Clip Holder, model: 2060-B). This leaf clip holder is especially developed for small leaves like an Arabidopsis leaf. With the help of the leaf clip holder, the photosynthetic active radiation (PAR) can be measured and an apparent electron transport rate (ETR) is calculated. A simple explanation of the equipment used can be found at the following URL: http://www.walz.com/downloads/manuals/mini-pam-II/MINI-PAM-II_Broschure.pdf. It should be noted that the current equipment being sold is the MINI-PAM II. Note: It is noted here that the MINI- PAM and TEACHING-PAM were developed for beginners; advanced researchers may utilize the larger PAM-2000 fluorometer (essentially the same instrument) to yield additional and more detailed results. Plants grown normally for 3 weeks are dark-adapted for 20 min before chlorophyll fluorescence measurements. *In our case, dark-adapted means the plants are kept either in a dark drawer (for plated plants) or covered with a large box (for potted plants), in both cases in rooms with dark curtains and no artificial light sources. Setup the MINI-PAM components. Additional peripheral components were connected to the four sockets at the side of the MINI-PAM Main Control Unit. PIN-assignments of “LEAF CLIP”, “RS 232”, “OUTPUT” and “CHARGE” indicate a Leaf Clip holder 2030-B, Computer control, Chart recorder and Battery Charger, respectively. The MINI-PAM was conceived as a typical stand-alone instrument for field experiments. Thus the actual measurement of the most relevant YIELD-parameter (quantum yield of photochemical energy conversion) just connected the fiberoprtics and leaf clip holder without conjunction with a PC and the WinControl software. So this protocol introduces the basic operation of the MINI-PAM without using computer control. Activate the MINI-PAM by pressing the “ON” button. Under standard conditions, the measuring light is on automatically. The AUTO-ZERO function (MODE-menu point 2) should be applied to determine the signal in absence of sample (background signal). To move to MODE-menu point 2, press “MODE” button (possible to omit) and “∧” button one times to select 2 of 51 points of the MODE-menu. Then push “SET” button to set the F value to zero (not stable, blinking) on measuring light (Figure 2). 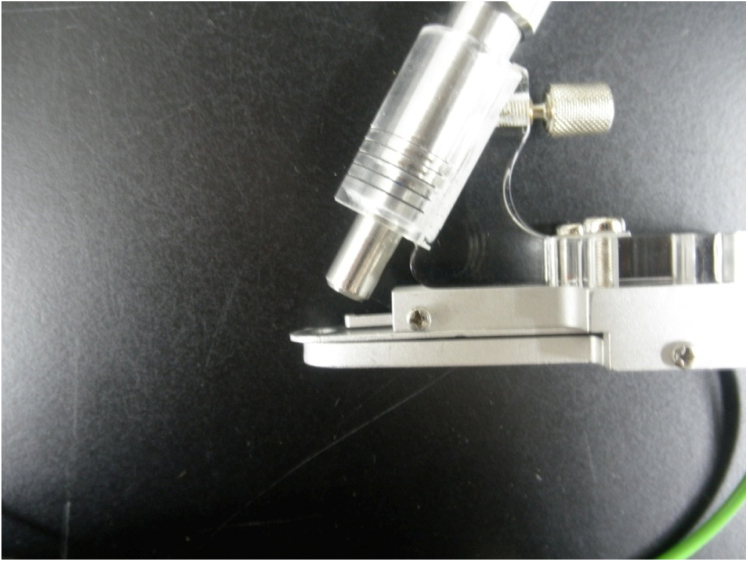 Place a dark-adapted leaf sample on the measuring head of the Leaf Clip holder. The distance between sample and fiberoptics should be about 10-15 mm (Figure 3). We dark-adapt the plants by either putting them in drawers (for dished plants) or covering them with boxes (for potted plants) – in both cases dark curtains are used and all artificial lights are turned off. Temperature when measuring should be the same as the growth environment. Just press the “START” button. Measuring the fluorescence parameters is proceeding automatically within seconds (see below). the minimum fluorescence in dark-adapted state (Fo) is sampled (displayed as ...F). a saturation pulse is applied. a saturation pulse induced maximum fluorescence in dark-adapted state (Fm) is sampled (displayed as …M). YIELD=(Fm-Fo)/Fm=Fv/Fm is calculated and shown on the display as …Y. When you use the Leaf Clip holder, the photosynthetically active radiation (PAR) and temperature at the same spot of a leaf where fluorescence is measured is also sampled (displayed as …L and …C, respectively). The apparent rate of electron transport (ETR) =YIELD x PAR x 0.5 x ETR-factor (0.84) is calculated (displayed as …E). The parameter indicated by the above is shown to a screen after measurement (Figure 4). The obtained data are stored in the MEMORY. If you want to know only the Fv/Fm value, following analysis is not needed. A saturation pulse induced maximum fluorescence during light adaptation (Fm’) is sampled (displayed as …M). These quenching coefficients need to sample four values (Fo, Fm, F and Fm’). Others are calculated values by using these four parameters. The value of Fo and Fm were previously measured by using a dark-adapted leaf sample. Thus, these values need to store in the MINI-PAM system. The MODE-menu point 25 (Fo and Fm) should be applied to store the values of Fo and Fm (Figure 5). This function to sample Fo and Fm of a dark-adapted leaf by use of the SET-key. The stored Fo and Fm values are used for determination of qP, qN and NPQ. Then light adapted leaf samples are prepared. A same as a dark-adapted leaf sample, press the “START” button on procedure 6. Measuring the fluorescence parameters under light condition is proceeding automatically within seconds and calculated qP, qN and NPQ as well as YIELD (Fv’/Fm’), ETR and PAR. The obtained data are stored in the MEMORY. Recall on display via MEM-key. Push “MEM” button and select measured sample by using “∧” and “∨” button. In the top line it can be seen the data set number and recording day time (Figure 6A). The bottom line shows YIELD (Y), ETR (E) and PAR (L). More information of data set can be displayed by pushing “SET” button. After the first SET, the top line shows the fluorescence yield measured briefly before the saturating light pulse (F), the maximum fluorescence (M) and temperature (C) (Figure 6B). After the second SET, the top line shows the quenching coefficients qP (P), qN (N) and NPQ (Q) (Figure 6C). Figure 6. A photo showing the display for “Mode” menu 25. A. 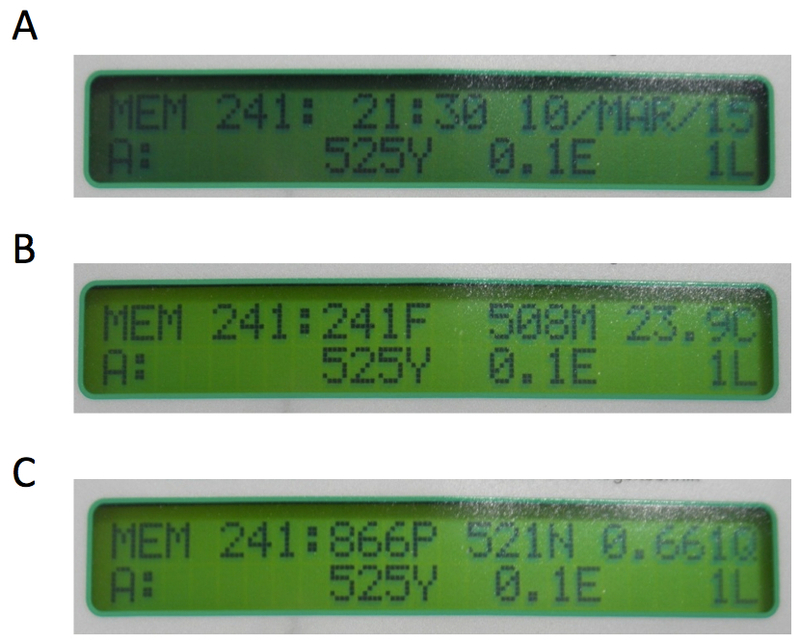 The first display line shows data set number and recording day/time. The second line shows YIELD (Y), ETR (E) and PAR (L). B. The first display line shows the fluorescence yield measured briefly before saturating light pulse (F), the maximum fluorescence (M) and temperature (C). C. The first display line shows the quenching coefficients qP (P), qN (N) and NPQ (Q). Repeat the same measurement at least four times and average results. In order to obtain reliably reproducible data, it is imperative that the plant growth environment be as uniform / consistent as possible. For example depending on light environment the value of a plant chlorophyll fluorescence will fluctuate. The amount of light a plant receives when next to the side light on the growth incubator is completely different from the light it receives when on the center of the shelf. For the reason it is important to shuffle the location of growth mediums, etc (Figure 7). At least 5 replicates are measured, with final data being an average of these measurements. As measurement with the MINI-PAM is very easy and results are consistent over each measurement, measuring twice is enough to satisfy technical duplication requirements. Krause, G. H., Grafflage, S., Rumich-Bayer, S. and Somersalo, S. (1988). Effects of freezing on plant mesophyll cells. Symp Soc Exp Biol 42: 311-327. Motohashi, R., Ito, T., Kobayashi, M., Taji, T., Nagata, N., Asami, T., Yoshida, S., Yamaguchi-Shinozaki, K. and Shinozaki, K. (2003). Functional analysis of the 37 kDa inner envelope membrane polypeptide in chloroplast biogenesis using a Ds-tagged Arabidopsis pale-green mutant. Plant J 34(5): 719-731. Valvekens, D., Montagu, M. V. and Van Lijsebettens, M. (1988). 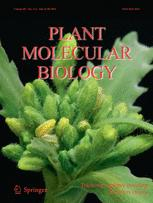 Agrobacterium tumefaciens-mediated transformation of Arabidopsis thaliana root explants by using kanamycin selection. Proc Natl Acad Sci U S A 85(15): 5536-5540. How to cite: Motohashi, R. and Myouga, F. (2015). Chlorophyll Fluorescence Measurements in Arabidopsis Plants Using a Pulse-amplitude-modulated (PAM) Fluorometer. Bio-protocol 5(9): e1464. DOI: 10.21769/BioProtoc.1464.